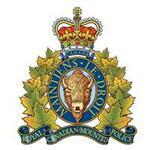 RCMP Alberta - Crowsnest Pass RCMP and Fire investigators are looking into the cause of a fire that claimed a woman’s life in Blairmore last night. At approximately 3:00 am, Crownsest Pass RCMP with dispatched to a residential fire at an apartment on 20th Avenue in Blairmore. The local fire department entered the unit where the fire had occurred and removed the lone resident from the building. Paramedics pronounced the resident, a 55 year old woman, deceased at the scene. No one else was injured in the fire and the cause is under investigation. One other resident of the building was evacuated as a result of the fire.